Situated in Bussoleno, this historic property is within 25 mi (40 km) of Castello di Rivoli, Nostra Signora di Lourdes Sanctuary, and Sauze D'Oulx Ski Area. 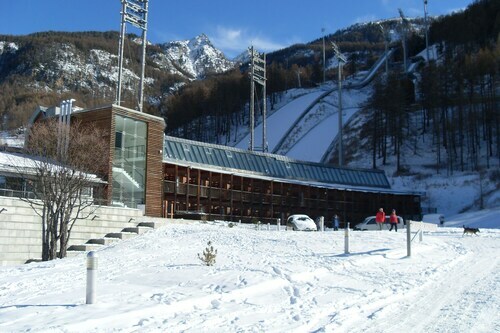 Juventus Stadium and Bardonecchia Ski Resort are also within 32 mi (52 km). Bussoleno Station is 14 minutes by foot. 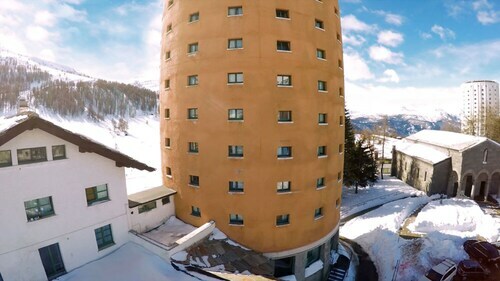 Situated in Pragelato, this hotel is 18.5 mi (29.8 km) from Gran Bosco di Salbertrand Natural Park. 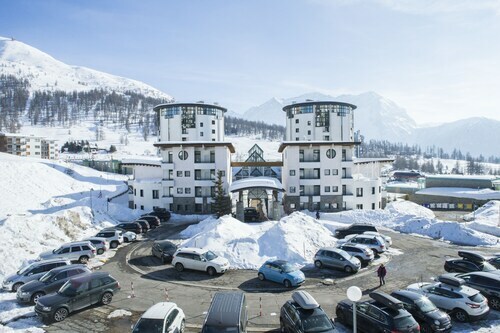 Located near the slopes, this Sestriere hotel is in the mountains and within a 5-minute walk of Susa Valley, Sestriere Ski Area, and Via Lattea Ski Area. Garnel Ski Lift and Sestriere-Fraiteve Gondola are also within 10 minutes. Set amidst the mountains, this ski-in/ski-out hotel in Sestriere is within a 5-minute walk of Susa Valley, Sestriere Ski Area, and Via Lattea Ski Area. Cit Roc Ski Lift and Chisone Valley are also within 5 minutes. How Much is a Hotel Room in Bussoleno? Hotels in Bussoleno start at $92 per night. Prices and availability subject to change. Additional terms may apply. If you are planning on roaming through Central Piedmont Alps and want to spend time in Bussoleno, as a savvy traveler, you would do well to book as early as possible through Travelocity's hotels page so that you find the most suitable place to stay. You'll find 2 accommodation options within an easy commute to Bussoleno that will fit the bill. Travelocity-listed places to stay that are situated within manageable driving distance of Bussoleno include the Susa & Stazione and Hotel Fell. The Chalet Il Capricorno is positioned 15 miles (24 kilometers) from the center of Bussoleno. If you would prefer another option, the Hotel Principi di Piemonte Sestriere can be found approximately 18 miles (29 kilometers) away. Alternative places to stay include the Hotel Belvedere and the Grand Hotel Sestriere. When you've got the time, you could see more of Piedmont. Lovers of the great outdoors will appreciate Piedmont's rural landscapes. While you're at it, visit a selection of the region's ruins and castles. In this fascinating part of Italy adventurous travelers might try their hand at snowboarding. Bardonecchia is 20 miles (32 kilometers) west of Bussoleno and boasts Bardonecchia Ski Resort and Colle Del Sommelier. The Villaggio Olimpico and La Tana del Ghiro are just some examples of the comfortable short and long-stay options in Bardonecchia. Or, you could stay the night in Cesana Torinese, 20 miles (34 kilometers) southwest of Bussoleno, where you have the options of the Hotel Sansicario Majestic and Residence La Piazza Abeti Betulle. The San Sicario Ski Resort and Fenils Ethnographic Museum are a couple of the more popular sites to see while in Cesana Torinese. When sport is a favourite pastime, put aside some time for a visit to Juventus Stadium, which is situated 25 miles (39 kilometers) to the east of Bussoleno. Travelocity users that are thinking about booking a hotel close to the action, reserve a room in the AllegroItalia Golden Palace or Cascina Di Corte. When you're flying into or out of Turin International Airport and plan to find somewhere to stay in the area, try Romantic Hotel Furno or Jet Hotel.